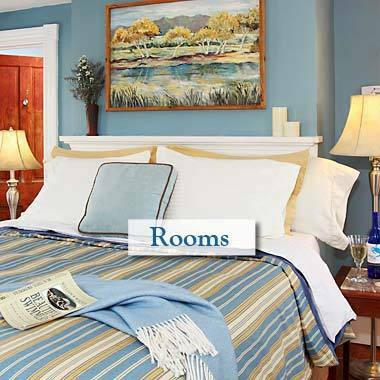 A relaxed and romantic waterfront Bed and Breakfast located in charming Mathews County, Virginia, The Inn at Tabbs Creek is your choice for Chesapeake Bay accommodations. 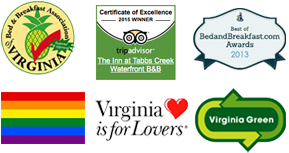 An Eco friendly and certified Virginia Green lodging establishment, this is just the place if you appreciate the natural splendor of the outdoors yet want the luxury and comfort of a casual B&B. 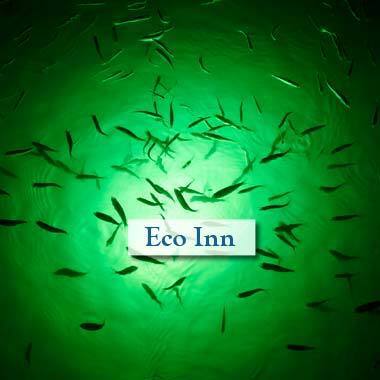 Come see why we have won numerous awards for excellence in both customer service and ecological awareness. We look forward to having you as our guests! 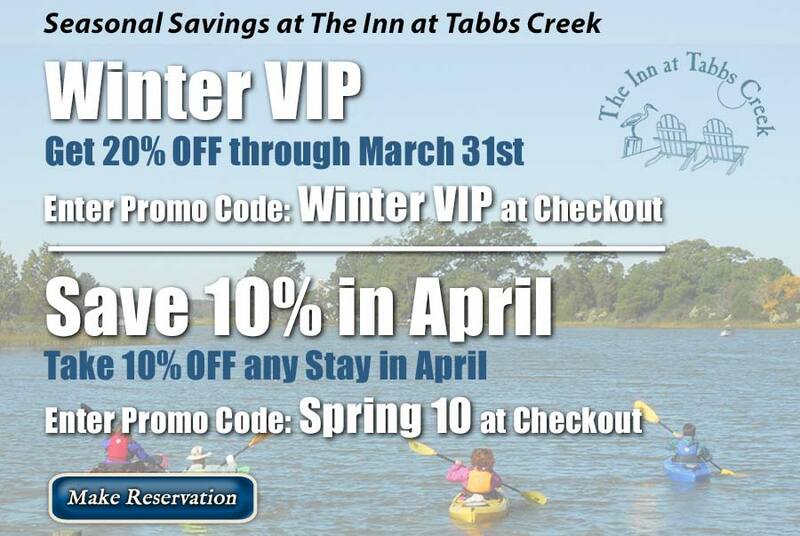 We invite you to truly get away from it all! 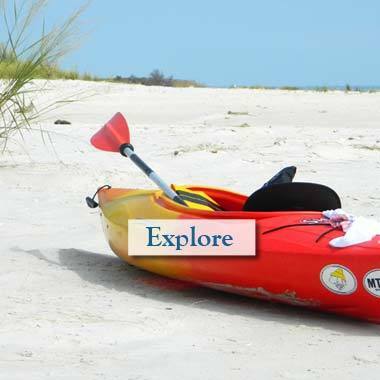 - Embark on a kayak or stand up paddleboard adventure from our private dock, cycle the endless level country roads, charter a fishing or classic deadrise boat tour, or enjoy a stroll on Bethel Beach Nature Preserve. Of course, you can just spend the day relaxing: rock on the porch, share a private picnic, enjoy a game of horseshoes, fish off the dock, or take a dip in our eco-friendly pool. At the end of the day savor a refreshing drink, take in a beautiful sunset over the water, stargaze around the firepit, and re-charge your romance or reconnect with friends and family. 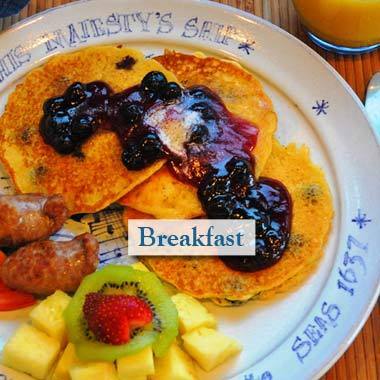 Sleep peacefully in our comfy beds, and wake up to locally roasted organic cofee, and a full and hearty breakfast made with fresh and locally sourced ingredients. Our small town of Mathews was recently voted as one of the Top 10 "Coolest Small Towns in America" and offers a variety of unique restaurants, shops and galleries, along with a friendly down home spirit. 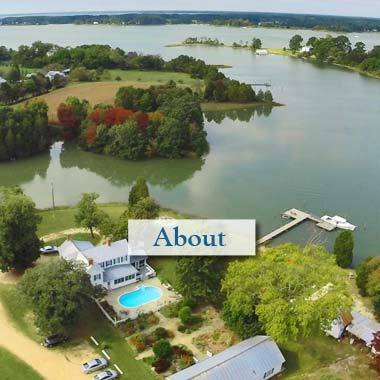 We are within an hours drive of the Historic Triangle of Williamsburg, Jamestown and Yorktown, as well as several other small and charming waterside towns along Virginia's Middle Peninsula and Northern Neck. So what are you waiting for? 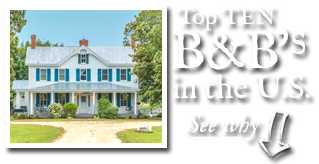 Book your Chesapeake Bay Retreat today!